Cancellation Policy: It is very important to us that we are able to give each patient our full attention during scheduled appointments. Due to the high demand for appointments, we must charge a No-Show/Rescheduling fee of $50 if you fail to call and cancel your appointment 24 hours in advance. Each patient is responsible for understanding their insurance coverage in relation to covered services and is responsible for providing DANC with the most current insurance information (i.e. Insurance card, Spouse’s and Subscriber’s information, etc.). Our office will bill validated insurances as a courtesy. It is our policy that the patient is ultimately responsible for payment of the rendered service from DANC. If you have NO insurance then payment in full is required at the time of service. As a courtesy to our patients, we will bill services for both participating and non-participating insurances. If you have not yet met your deductible prior to being seen in our office, you will be required to pay your deductible amount at time of service. You may incur additional laboratory and pathology charges from DANC and/or an outside office, depending on services rendered at our office. 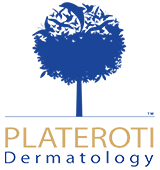 You will be responsible for a portion or all charges incurred by the dermatopathologist for slide preparation and/or analysis. If you have an insurance that has a co-payment, our office policy is to collect this before services are rendered. Also, if there is any change in your insurance carrier, it is your responsibility to inform us prior to your appointment, you will be expected to pay in full if you wish to be seen, or your appointment can be rescheduled. We depend on accurate information for emergency contact and billing. If you move or change your telephone number, please inform the front desk so we can update our database. Patients are seen by appointment. For urgent and acute situations, we often schedule “work-in” appointments. Work-in appointments are made to address one acute problem, only so that patients with scheduled appointments are not kept waiting. Except in emergencies, patients with scheduled appointments will be seen before “work-in” patients. We work very hard to keep our appointment schedule. However, because we see emergencies in the office, there will inevitably be delays. We apologize in advance. We will call to confirm most appointments 24 hours in advanced. If you are more than 15 minutes late by our clock, you may be asked to reschedule your appointment. Cancellations must be made 24 hours prior to your appointment. Patients who are not on time for their scheduled appointment may be re-scheduled to a later date and subject to a $35.00 fee. Only one visit can be billed per day. Continued missed appointment may result in you being asked to find another provider. We handle patient’s social security numbers and personal information in a confidential manner, but we may release personal and medical information to another doctor’s office in the event of a referral. We use social security numbers for insurance and billing purposes at DANC. This is required information that we ask from each of our patients. As part of your medical chart, we retain clinical photograph(s) to pair with your chart as well as to document any possible conditions/treatment and your progress. Co-pays, co-insurances, deductibles, outstanding balances, and missed appointments must be paid at the time of service; patients may be re-scheduled for non-payment. Patient agrees to pay all charges within 30 days of statement date and agrees to assign insurance benefits to DANC, if applicable. We accept several different kinds of payment options. We gladly accept cash, check, Visa, MasterCard, Discover, American Express, and CareCredit. With our CareCredit option, we offer special financing in certain circumstances. If you are interested in applying for CareCredit, we can do the application process here in our office. It only takes a moment of your time, and we can get your application results within a few minutes. If you are 18 years of age or older, we will not bill a parent or guardian, you will be responsible for the amount due at the time of service. Simply put, payment of any portion of your bill that you are responsible for “out of pocket” is expected at the time of your appointment. DANC will charge the patient account $35.00 for any returned checks. You must pay cash for the returned check fee within 10-day notice. If payment is not received by the due date, we will forward the returned check to the District Attorney’s Office. When an account remains unpaid after 90 days we maintain the right to refer the account to an outside collection agency. If your account is sent to a collection agency, you may be asked to find another provider. If we provide services to you that are not covered by your health plan, you will be responsible for payment in full for those services at the time the service is performed. Your signature, below, constitutes agreement to pay for such services. All children under the age of 18 should be accompanied by a parent or guardian. If the parent or guardian is not present, a minor consent form must be signed by a parent or guardian prior to the appointment, or the appointment will be rescheduled. Please do not leave children unattended in the waiting area. You may need to contact the office with a question. Most calls may not be returned for up to several hours. Please provide a return phone number that you can be reached at for several hours, or provide additional phone numbers. In an emergency, dial 911 first. We are on call 24 hours a day, available only for urgent issues that cannot wait for the office to open the next business day. To contact us, please call the office number. I understand that if I request a copy of my medical records to be sent to another doctor, I must allow 15 business days for processing from the time I submit a signed authorization. I understand that if I request my medical records to be released to me, I must pre-pay for records in storage and allow 15 business days for processing from the time I submit a signed authorization. Our fees are $.10/.20 per page for 8 ½ x 11 and $24.00 per hour for clerical costs in locating and reproducing records. I do hereby authorize the use, and/or administration of such drugs, anesthetics and other treatments, including the performance of a skin biopsy, the use of cryosurgery with liquid nitrogen, and the injection of intralesional kenalog (cortisone), should any of these be deemed advisable, desirable, or necessary for diagnostic, therapeutic, or investigational purposes by Carmelo Plateroti, D.O, Mary Schaff, R.N., .N.P., Rebecca McAlpin, M.S.N., FNP-C, Leah Clarke M.S., PA-C, Diane Powell, R.N., or authorized staff, for me or my minor child. I further consent to the examination for diagnostic, investigational purposes, and disposal by authorities of the above named medical facility of any tissue or parts that may be removed. I understand that a skin biopsy involves removal of a piece of skin and that such removal may result in a permanent scar or discoloration of the skin at the site of the biopsy. I further understand that more than one biopsy may occur during this visit. I understand that the destruction with liquid nitrogen of precancerous lesions, which are also known as actinic keratosis or solar keratosis may be deemed necessary to prevent the risk that these lesions evolve into a skin cancer. I understand that the injection of Kenalog (cortisone) for the treatment of scars, cysts, acne, and inflammatory conditions like, psoriasis, atopic dermatitis and alopecia areata, may be deemed necessary, advisable or desirable. I understand that the destruction by liquid nitrogen of verrucous lesions (warts) may be advised, but these types of lesions are not cancerous and do not necessarily have to be treated. I recognize that because they may be contagious, they should be treated. If destruction with liquid nitrogen is recommended, I consent based on that advice. I am aware that these lesions may require more than a single treatment. I understand that any of the above procedures may have some unwanted effects, which include, but are not limited to permanent scarring, permanent discoloration of the skin at the site of treatment, atrophy (thinning or depression of the skin), infection, bleeding, and nerve damage resulting in temporary or permanent numbness. We are required by law to maintain the privacy of “Protected Health Information”(PHI). PHI includes any identifiable information that we obtain from you or others that relates to your physical or mental health, the health care you have received, or payment for your health care. As required by law, this notice provides you with information about your rights and our legal duties and privacy practices with respect to the privacy of protected health information. This notice also discusses the uses and disclosures we will make of your protected health information. We must comply with the provisions of this notice, although we reserve the right to change the terms of this notice from time to time and to make the revised notice effective for all PHI we maintain. You can always request a copy of our most current privacy notice from our office. We can use or disclose your PHI for purposes of treatment, payment and health care operations. Treatment means the provision, coordination, or management of your health care, including consultations between health care providers regarding you care and referrals for health care from one health care provider to another. For example, a doctor treating you for a broken leg may need to know if you have diabetes because diabetes may slow the healing process. Therefore, the doctor may review your medical records to assess whether you have a potentially complicating condition like diabetes. Health Care Operations mean the support functions of out practice related to treatment and payment, such as quality assurance activities, case management, receiving and responding to patient complaints, physician reviews, compliance programs, audits, business planning, development, management and administrative activities. For example, we may use your medical information about many patients to decide what services are not needed, and whether certain new treatments are effective. We may contact you to provide appointment reminders or information about treatment alternatives or other health-related benefits and services that may be of interest to you or relate specifically to your medical care through our office. For example, we may leave appointment reminders on your answering machine or with a family member or other person who may answer the telephone at the number that you have given us to contact you. We may disclose your PHI to your family or friends or any other individual identified by you when they are involved in your care or the payment for your care. We will only disclose the PHI directly relevant to their involvement in your care or payment. We may also use or disclose your PHI directly relevant to their involvement in your care or payment. We may also use or disclose your PHI notify, or assist in the notification of, a family member, a personal representative, or another person responsible for your care of your location, general condition, or death. If you are available, we will give you an opportunity to object to these disclosures, and we will not make these disclosures if you object. If you, are not available, we will determine, in our professional judgement, that it is in your best interest to make such disclosures. We will allow your family and friends to act on your behalf to pick up prescriptions, medical supplies, X-rays, and similar forms of PHI, when we determine, in our professional judgment, that it is in your best interest to make such disclosures. Organ and Tissue Donations: If you are an organ donor, we may release medical information to organizations that handle organ procurement or organ, eye or tissue transplantation or to an organ donation bank, as necessary to facilitate organ or tissue donation and transplantation. Health Oversight Activities: We may disclose medical information to federal or state agencies that oversee our activates. These activates are necessary for the government to monitor the health care system, government programs, and compliance with civil rights laws. We may disclose PHI to persons under the Food and Drug Administration’s jurisdiction to track products or to conduct by someone post-marketing surveillance. Lawsuits and Disputes: If you are involved in a lawsuit or dispute we may disclose medical information about you in response to a subpoena, discovery request or other lawful process by someone else involved in the dispute. Coroners, Medical Examiners, and Funeral Directors: We may release medical information to a coroner or medical examiner. This may be necessary, for example, to identify a deceased person or determine the cause of death. We may also release medical information about patients to funeral directors as necessary to carry out their duties. Inmates: If you are an inmate of a correctional institution or under the custody of a law enforcement official. This release would be necessary for the institution to provide you with health care, to protect your health and safety or the health and safety of others, or for the safety and security of the correctional institution. Serious Threats: As permitted by applicable law and standards of ethical conduct, we may use and disclose protected health information if we, in good faith, believe that the use of disclosure is necessary to prevent or lessen a serious and imminent threat to the health or safety of a person or the public. Disaster Relief: When permitted by law, we may coordinate out uses and disclosures of PHI with public or private entities authorized by law or by charter to assist in disaster relief efforts. You have the right to request restrictions on our uses and disclosures of protected health information(PHI) for treatment, payment and health care operations. However, we are not required to agree to your request. You have the right to reasonably request to receive communications of PHI by alternative means or at alternative locations. If we deny a request for access for and of the three reasons described above, then you have the right to have our denial reviewed in accordance with the requirements of applicable law. The above rights may be exercised only by written communication to us. Any revocation or other modification of consent must be in writing and delivered to us. If you believe that your privacy rights have been violated, you should immediately contact our Practice Manager or our Privacy Officer. All complaints must be submitted in writing. We will not take action against you for filing a complaint. You also may file a complaint with the Secretary of Health and Human Services.